Abstract: Graphene, a 2-dimensional carbon based material system, recently attracts world-wide attention from physicists and engineers due to its unique electronic and photonic properties. In this talk, I will first discuss the historical evolvement of electronics and photonics, followed by the potential of graphene in electronics and photonics. A few important developments in graphene photonics will then be presented, including photocurrent imaging, ultrafast (> 40 GHz) photoresponse, and the application of graphene photodetector in a realistic optical communication link. Next, bandgap engineering using vertical E-field in bi-layer graphene will be covered in detail. I will show that a transport bandgap of > 130 meV can be realized in biased bilayer graphene. Finally the carrier transport at the metal-graphene junction and its impact on the metal-graphene contact resistance will be presented. Biography: Fengnian Xia received the B.Eng. degree (with the highest honor) in electronics engineering from Tsinghua University, Beijing, China, in 1998 and M.A. and Ph.D. degrees in electrical engineering from Princeton University, Princeton, NJ, USA in 2001 and 2005, respectively. He joined Silicon Nanophotonics Department, IBM Thomas J. Watson research center in Yorktown Heights, NY, USA as a postdoc in March, 2005. 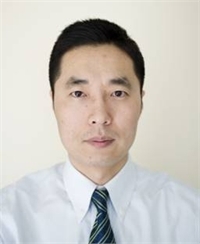 Starting from April 2007, he has been with Department of Nanometer Scale Science and Technology in the same research center and currently is a research staff member. His current research focuses on integrated nanophotonics and nanoelectronics using group IV materials such as graphene, carbon nanotubes, silicon, and germanium. He is also actively involved in research of carrier transport in low-dimensional semiconductors.